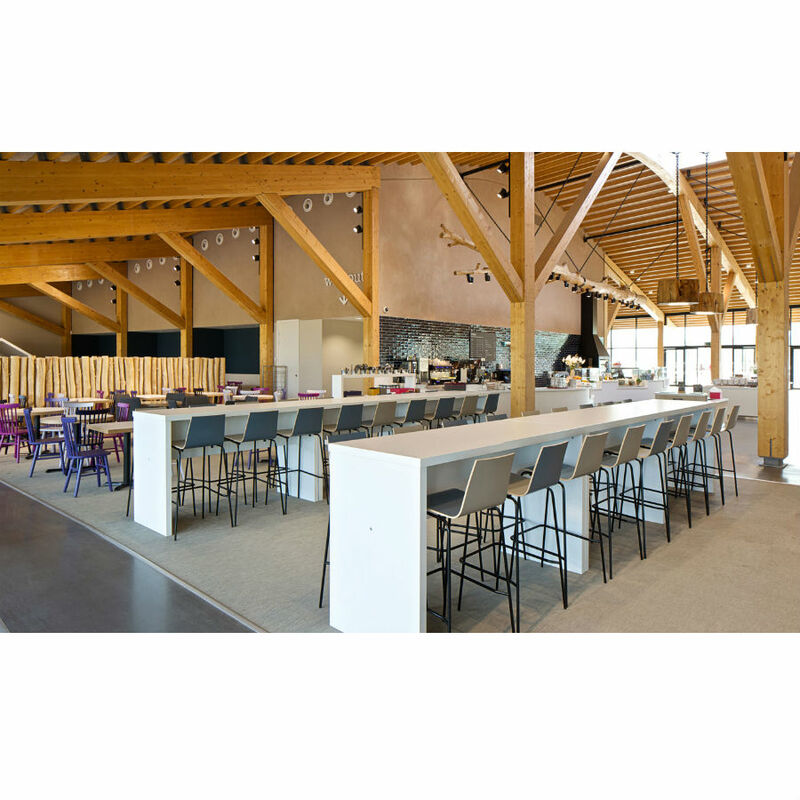 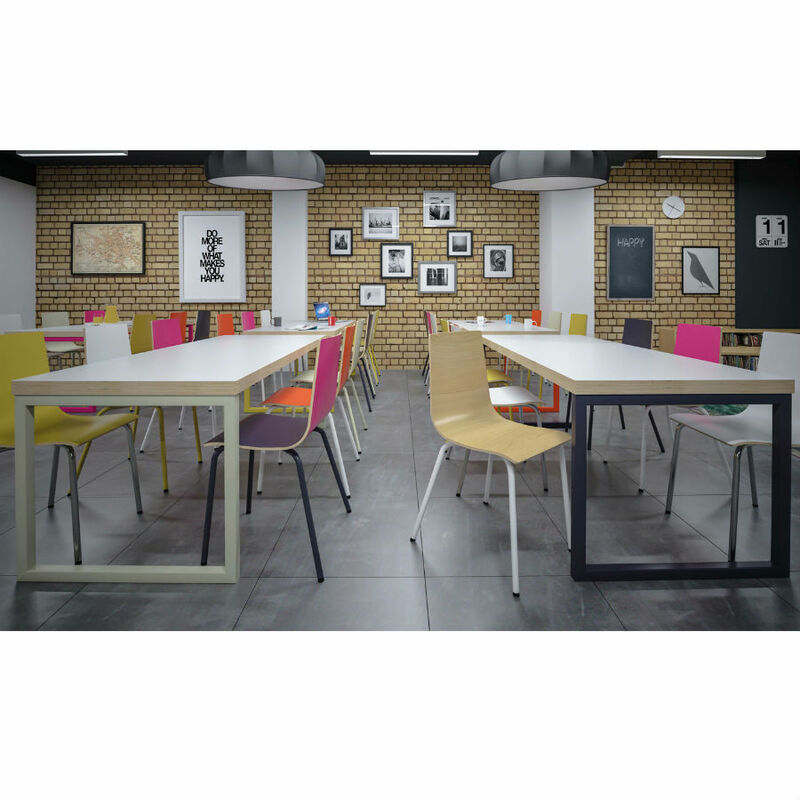 Tables are an essential part of any office, boardroom or breakout area and Wagamama style tables are on trend for restaurants and workplace cafeterias with a Block design they really make an impact to any space. 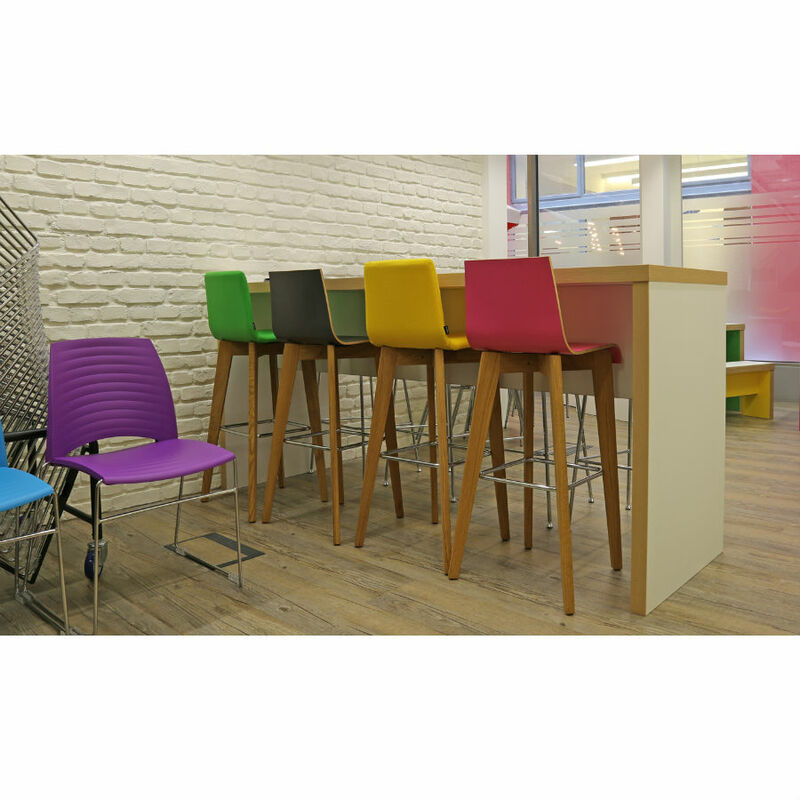 With a choice of colours, legs, and with the optional extra of upholstered seat cushions in a wide range of colours and fabric there is so much to choose from. 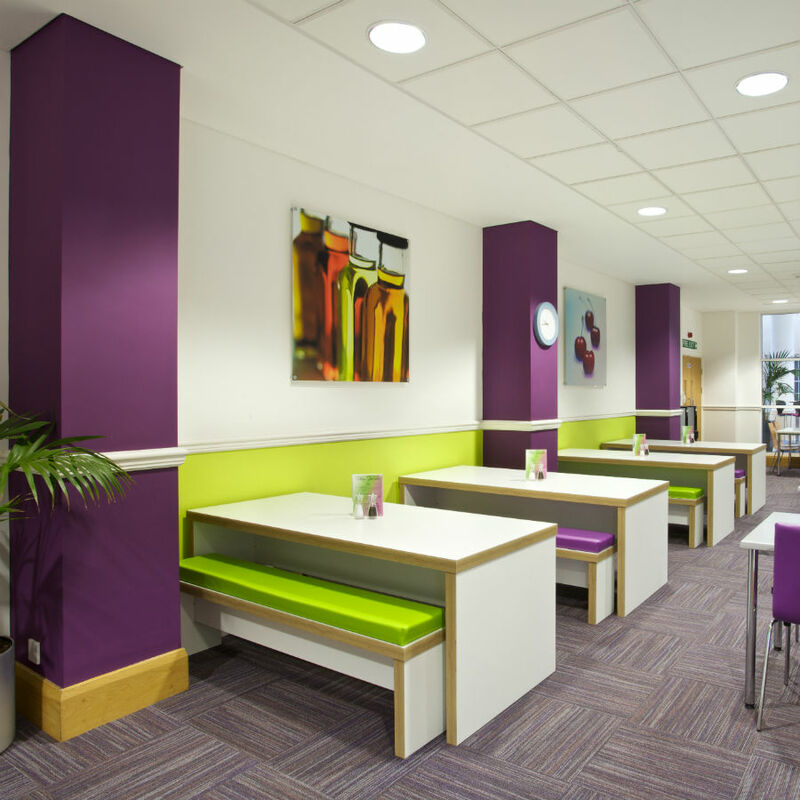 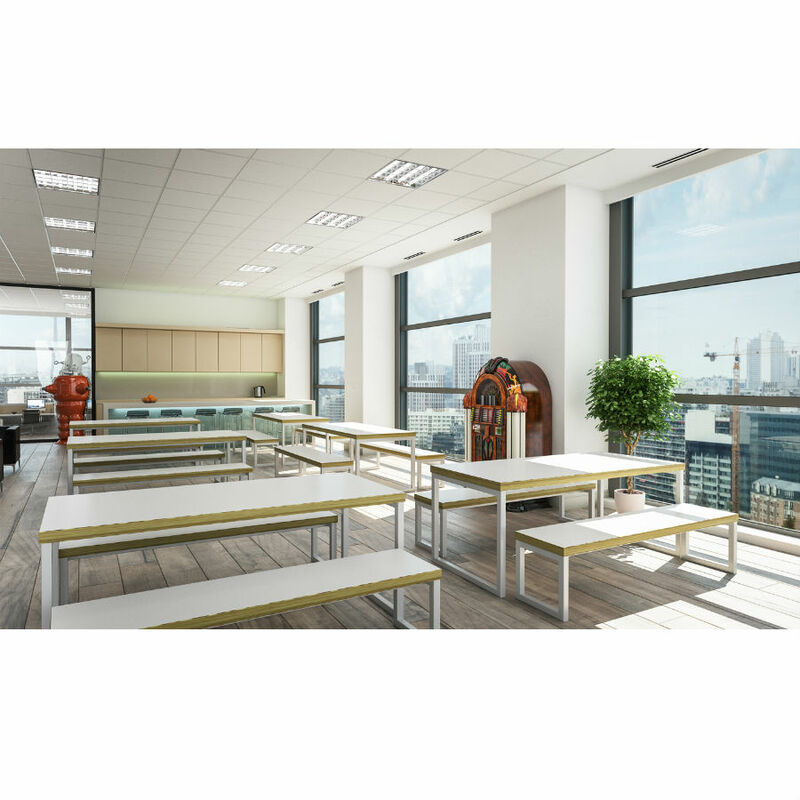 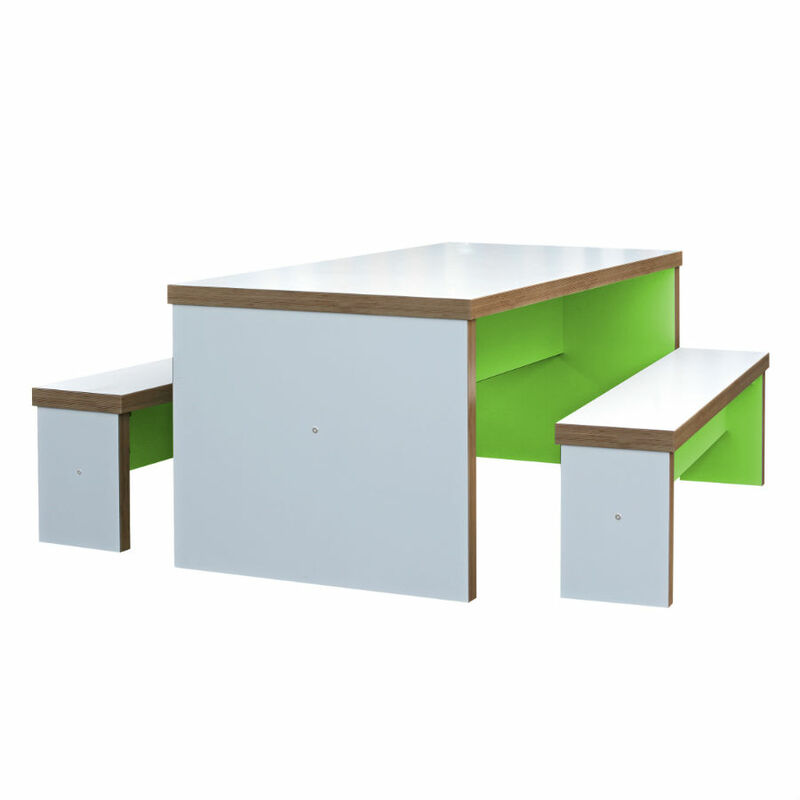 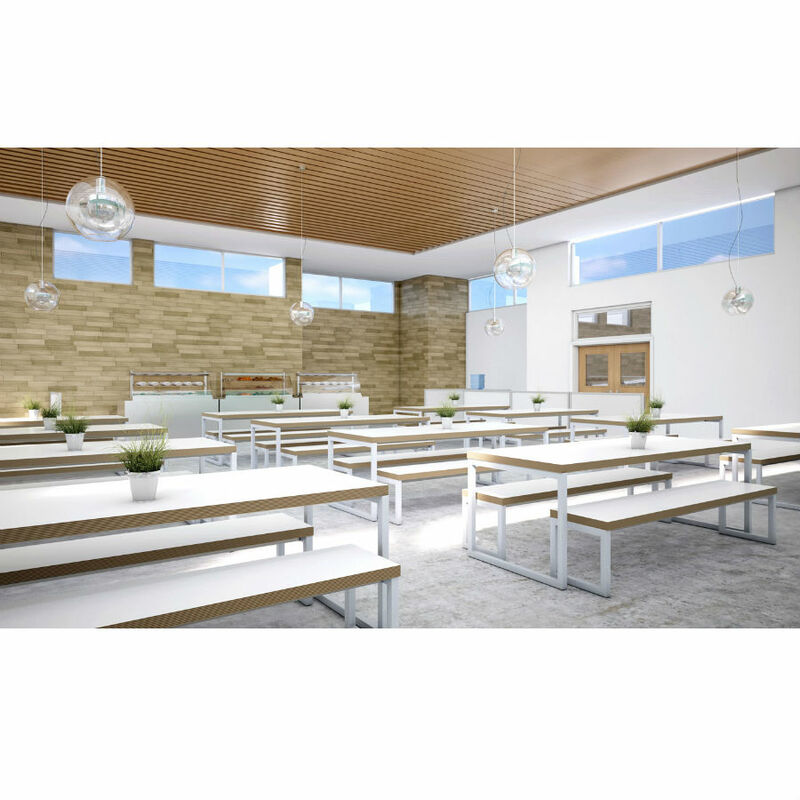 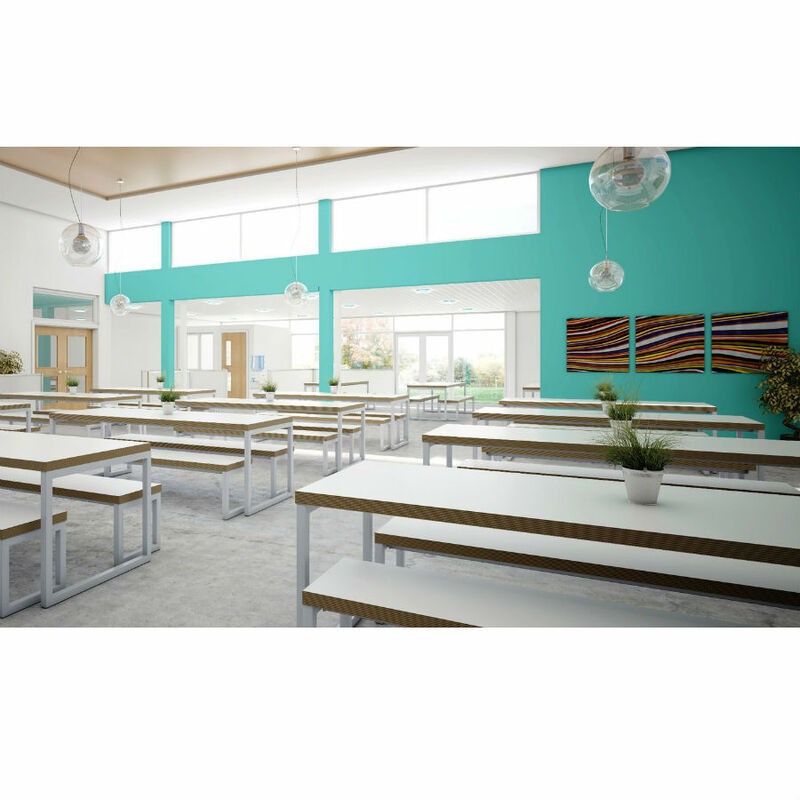 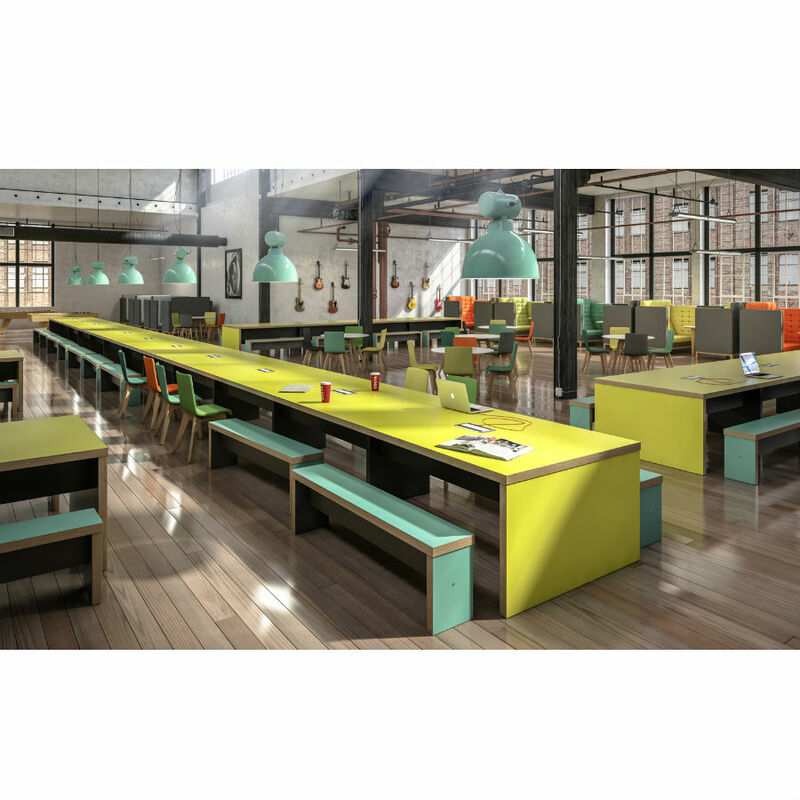 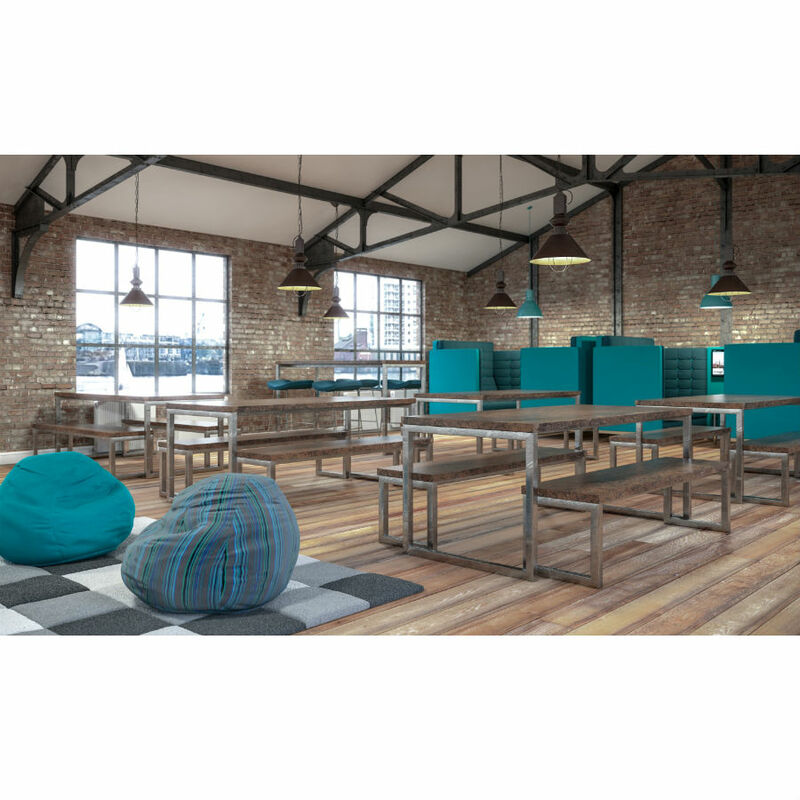 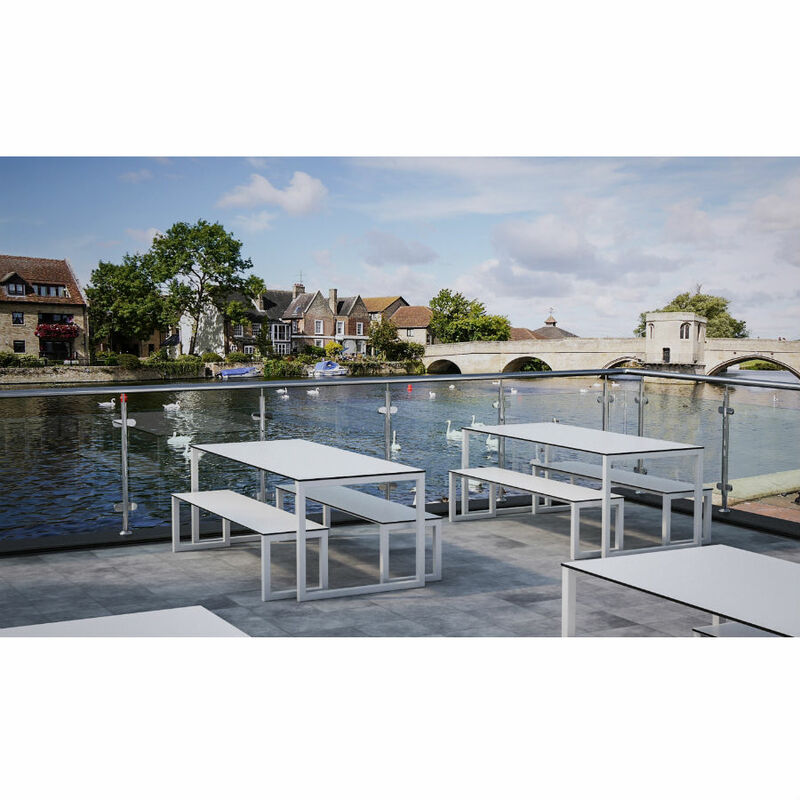 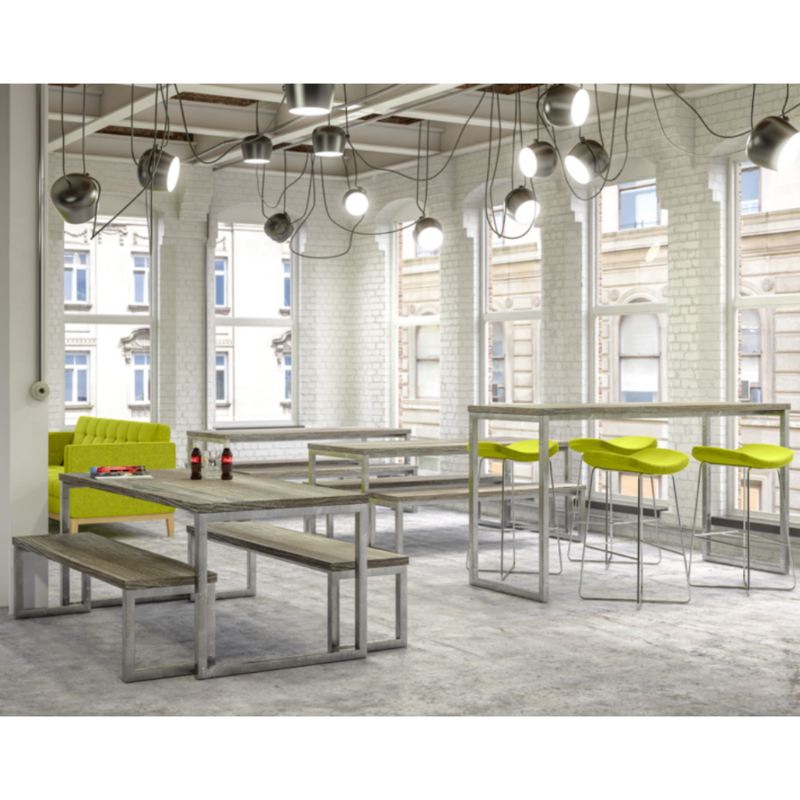 Benches are a versatile range of breakout furniture from panel end dining height to hoop leg poseur height there is a wide range of sizes to suit your breakout area.